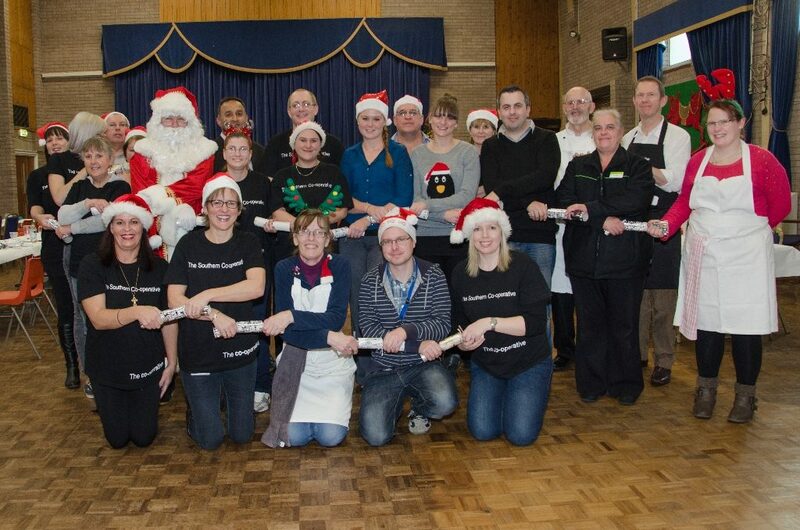 Over 100 free Christmas lunches were cooked and served to homeless people and those at risk of becoming homeless at Buckland Community Centre in Portsmouth by a team of volunteers from The Southern Co-operative (Wednesday 11 December). Andreea added: “It was lovely for us to give something back to the community at what can be a difficult time of year, and the lunch went down very well. Not only that, but there was a real team spirit as 30 colleagues including our Vice Chairman, Chief Operating Officer for Retail, together with customer service assistants from our stores, bereavement centre and office colleagues, funeral co-ordinators and area managers from across the business got hands-on; from peeling the sprouts and laying the tables to cooking, serving and clearing away!” The Southern Co-operative actively encourages colleagues working for the Society to volunteer in work time; in the past ten months they have given over 4,215 hours of volunteer time back to the community across the south.